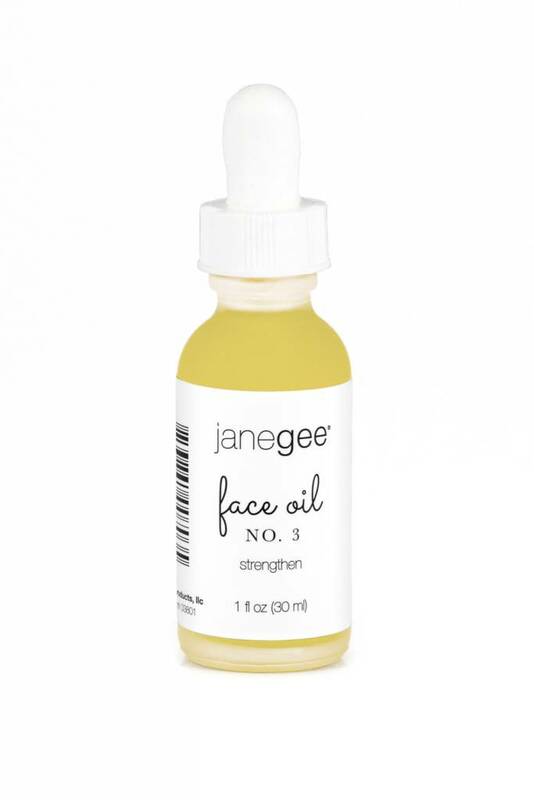 janegee Face Oils grew out of the need to supply different skin types with specific ingredients to support and boost the health of the skin. 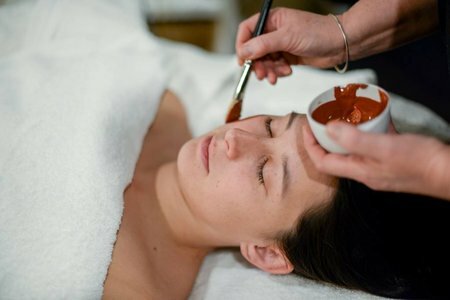 They are vibrant by nature and help balance, soothe, energize and hydrate skin. 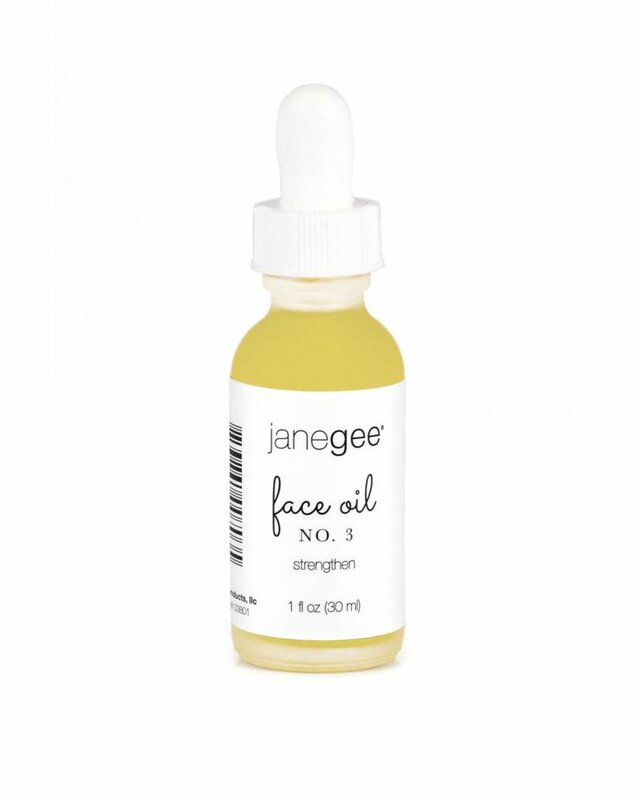 janegee Face Oil No.3 is great for anyone with sensitive and red skin. Directions: After cleansing, massage a few drops of oil into your face and neck. 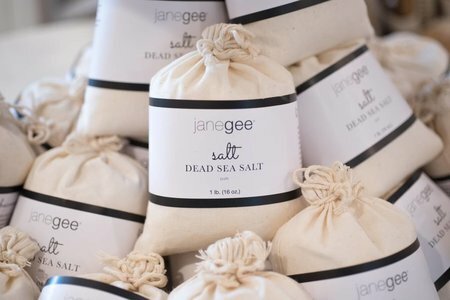 Follow with your favorite janegee moisturizer. Ingredients: Grape (Vitis Vinifera) Seed Oil, Organic Jojoba (Simmondsia Chinensis) Oil*, Avocado (Persea Gratissima) Oil, Lavender (Lavendula Angustifolia) Oil, Ylang Ylang (Cananga Odorata) Oil, Organic Rosemary (Rosmarinus Officinalis) Oil*, Vitamin E (Tocopherol).